What Do 10,000 Bibles Look Like? Great Treasure Day is the day in Beach Club when kids receive a KiDs Beach Club® Explorer's Study Bible. Thanks to generous donors, more than 10,000 copies of God's Word have been handed out. 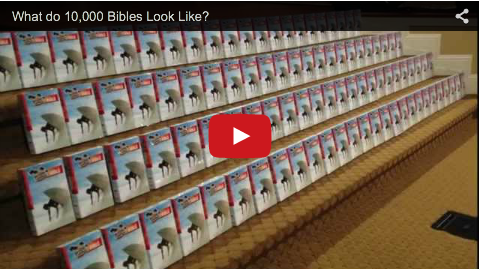 Watch the video and see what 10,000 Bibles look like.